Are you saying “I do” this year? Incorporate these style, decor and floral trends into your important day to make it glamorous and bold — and, most importantly, a day you’ll never forget. 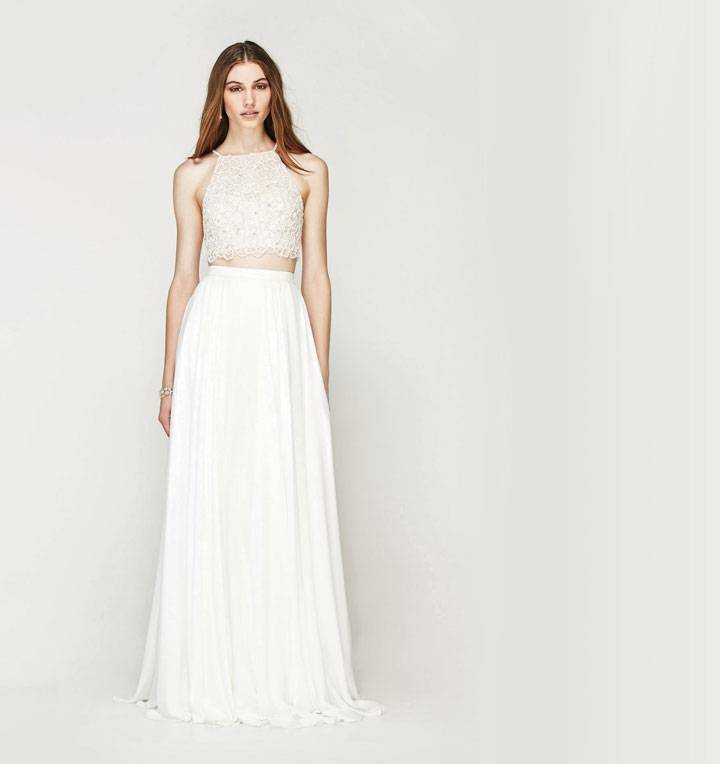 For most brides, finding the perfect dress is the hardest part of planning a wedding. This year, brides are moving away from formality and a strict colour scheme, which could make it easier to say yes to the perfect dress. As well as colourful wedding dresses — a continuing trend from 2017 — major bridal fashion shows displayed white gowns with black accents on the runway. Add a dramatic accent to your dress, either with something as simple as a black ribbon around your waist or neckline, or as sassy as wearing long black gloves or a cape. Bridal separates are also on trend in 2018. Brides have the freedom to mix and match tops and bottoms for a unique, one-of-a-kind look and the flexibility to easily switch up the bridal look between the ceremony and the reception. For the bridesmaids: Bridesmaid trousers and jumpsuits are on trend for 2018, not surprising considering last fall’s rise in pants for brides. Keeping things a little more casual for the groomsmen is also the trend this year. Black tuxedos are giving way to midnight blue as the go-to neutral palette. 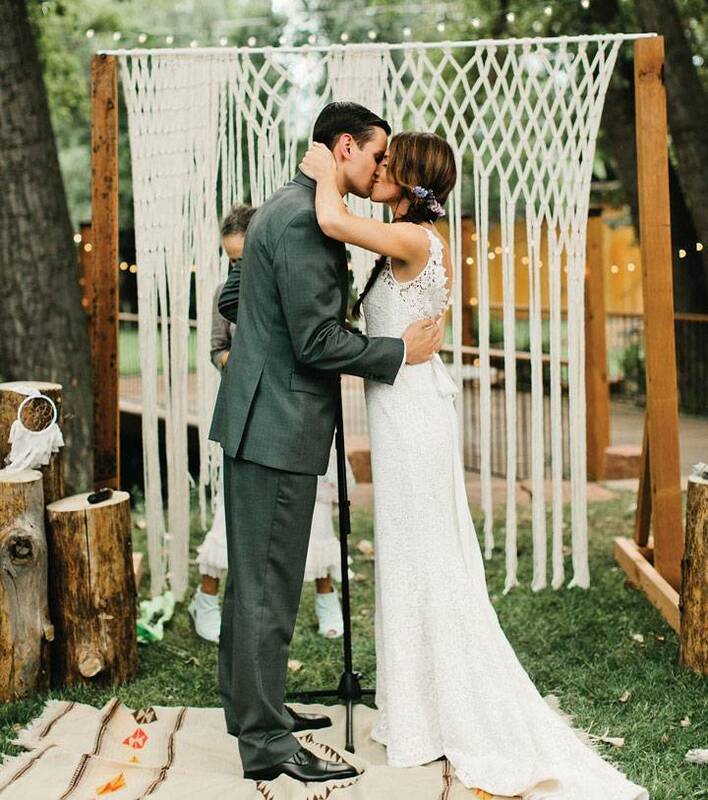 Bohemian and New Age-influenced weddings are all the rage this year, which means a focus on edgy tones, rich textures and the tactile. Think velvet chairs for a winter ceremony, macramé backdrops or table runners, and wax sealing on the invitations. Forget the fancy, three-course dinner. This year, couples are focusing less on formal meals and more on going all out with the desserts. 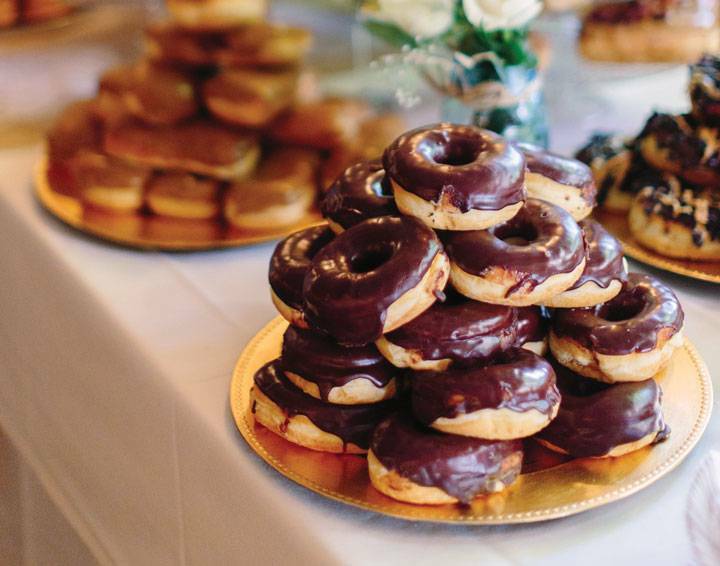 End your special day with a fun, unexpected treat like ice-cream sandwiches, ice pops or a doughnut bar. But don’t forgo the traditional wedding cake — many couples are choosing to have a small, simple cake in addition to the creative desserts to get that traditional cake-cutting photo, just like the one in your parents’ wedding album. 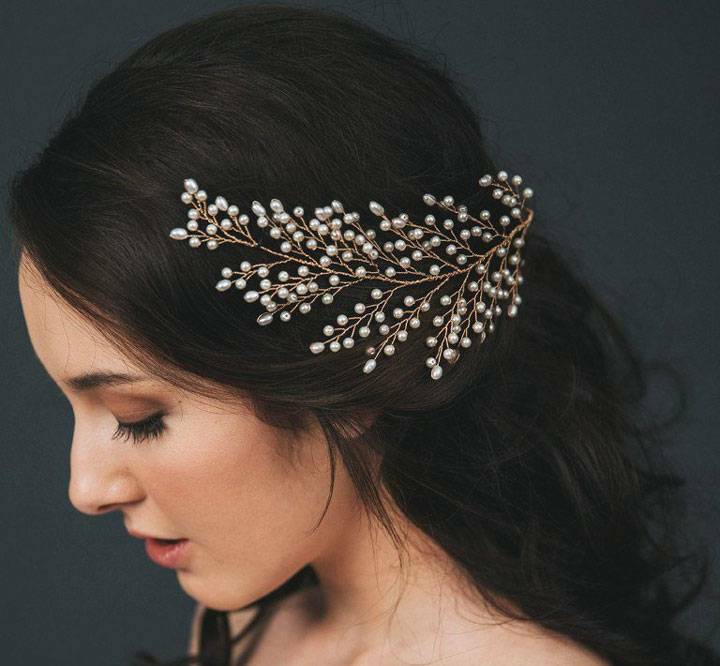 Pearls are making a comeback this year in necklaces and earrings, but also in headpieces and on gowns. So think multi-strand ropes of pearls, pearl-beaded capelets, pearl-embellished veils, lustrous crowns and tiaras, and statement pearl earrings, from ear cuffs to chandeliers. While industrial lighting was a big home décor trend in 2017, industrial spaces are the “it” wedding venue in 2018. 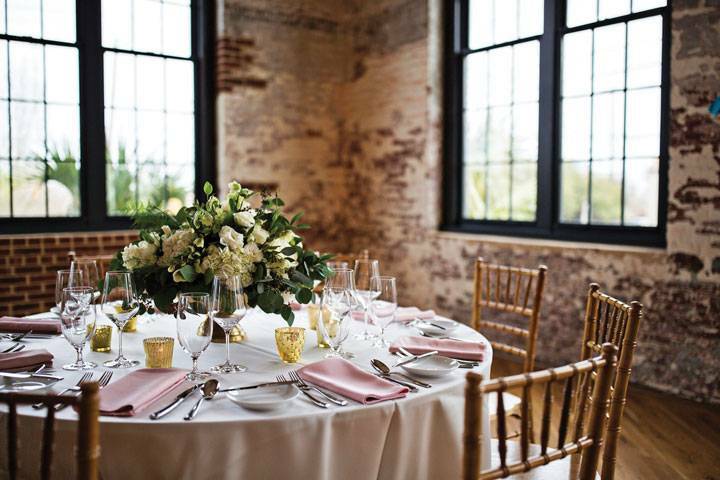 These venues are relaxed and edgy, but at the same time act as a blank slate that you can decorate to your own taste. The industrial trend is also making its way into wedding venue lighting. In 2018, using Edison bulbs to light up a venue with a warm, glowing light is popular. Try hanging single bulbs from beams or grouping them together into a makeshift chandelier. This article is from the January/February 2018 issue of YAM.